As a last minute addition to our 2018 run we are thrilled to be serving Flow Alkaline Spring Water at the finish line supplied by our good friends at Neil Brothers Foods. 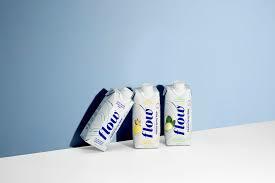 They’ve supplied us with some of Flow’s new flavoured waters – lemon, cucumber, strawberry and watermelon! Flow Alkaline Spring Water comes from a family owned artisan spring in Bruce County, Ontario and is B Corp Certified! If you’re not familiar with Neal Brothers Foods – be sure to check out their awesome line of natural and organic products including snacks, salsas and sauces! We ain’t got no bananas!